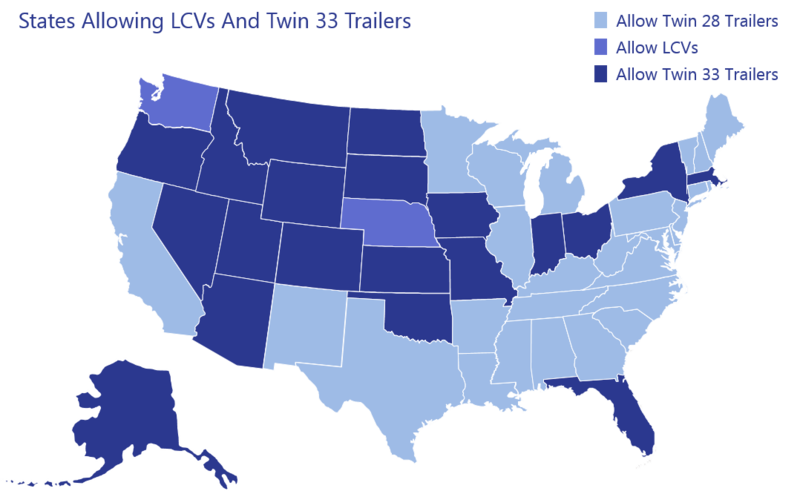 Twin 33 trailers will only run on routes where Twin 28 trailers already operate. Replacing Twin 28s with Twin 33s will reduce carbon emissions, fuel usage, trucks on the road, and the number of crashes every year. 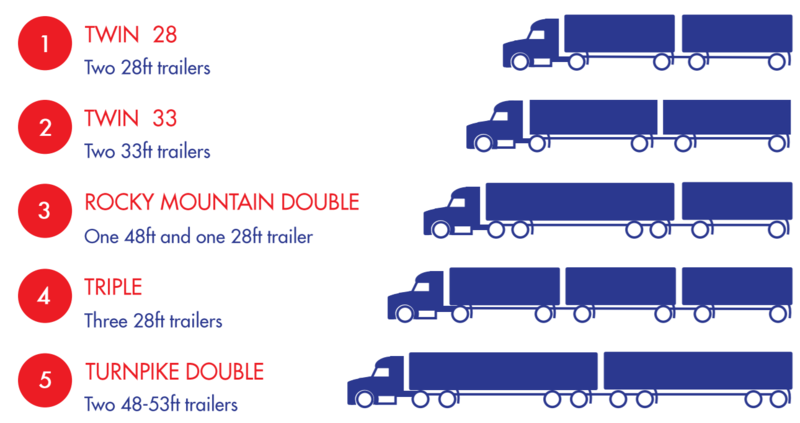 All of these configurations operate on portions of highways throughout the U.S. today.